We are one of the leading manufacturers of Hot Dip Galvanised T Nut. 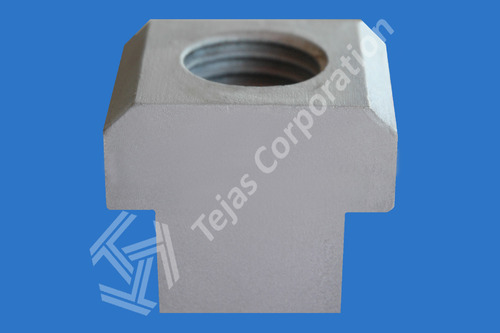 This Hot Dip Galvanised T Nut is fabricated by us keeping into consideration the Indian as well as international quality standards. These Nuts give an optimum level of performance and are highly durable as well.. Established in the year 2003. Tejas Corporation is one of the leading manufacturers, exporters and suppliers Guard Rail Bolts. Our Crash Barrier Bolts are appreciated for their corrosion resistance & durability. These are fabricated according to the DIN standards. The machines used in the fabrication process are of the latest technology and the raw material is procured from the reliable vendors of the market. Our team of diligent professionals is skilled and trained to fabricate products in accordance with the requirements of our clients. Apart from this, we also excel in providing unmatched logistics. Owing to all this, we have spread our client base in the Indian Subcontinent.